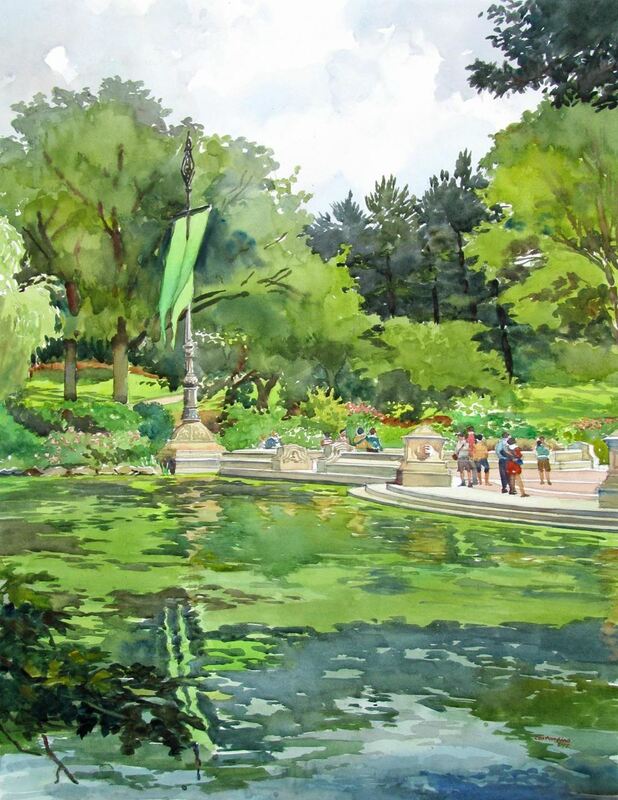 RIWS is proud to offer our members, and the general public, a wide variety of water media art classes, workshops and special events, such as artist demos, fundraisers and group bus trips to see exhibitions at Museums located in the north east. If you are interested in signing up for an event, you may register through the website and pay by using Paypal. You may also stop by during gallery hours to register and pay in person with cash, check or credit card. If you cannot come by the gallery, please feel free to call us for assistance. *PLEASE NOTE: Payment is due upon registration for classes, workshops or pre-registered events. 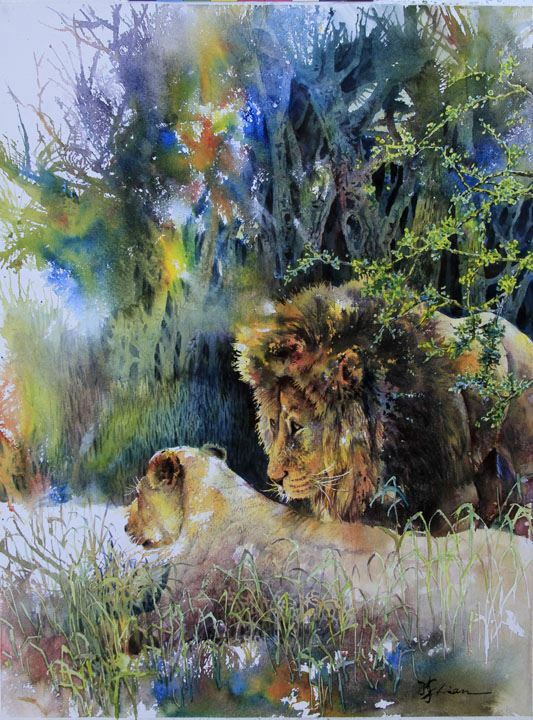 The Rhode Island Watercolor Society relies heavily on an accurate attendance count in order to plan crucial arrangements for our Classes, Workshops, Bus Trips and Special Events that require pre-registration. Please keep this in mind when signing up for an event. Cancellations made more than 30 days, prior to the start of the event, can receive a full refund. Cancellations made between 7 to 30 days, prior to the start of the event, will be charged a minimum of 50% of the original priced fee. *No refunds will be given for any cancellations made less than 7 days before the scheduled date of the event; or after the event has started. A monotype is a unique print made by painting, drawing or inking on one surface and transferring the image to another surface, such as paper, using pressure. This may be done with a printing press, a rubbing tool or simply a hand. If you would like an introduction to monotype printmaking in a stress free environment, join us for our five-hour workshop on Gel Plate Printing. You will have an opportunity to create an array of beautiful prints with layered colors and textures using Golden Open Acrylics with a variety of mark making tools, stencils and stamping materials. 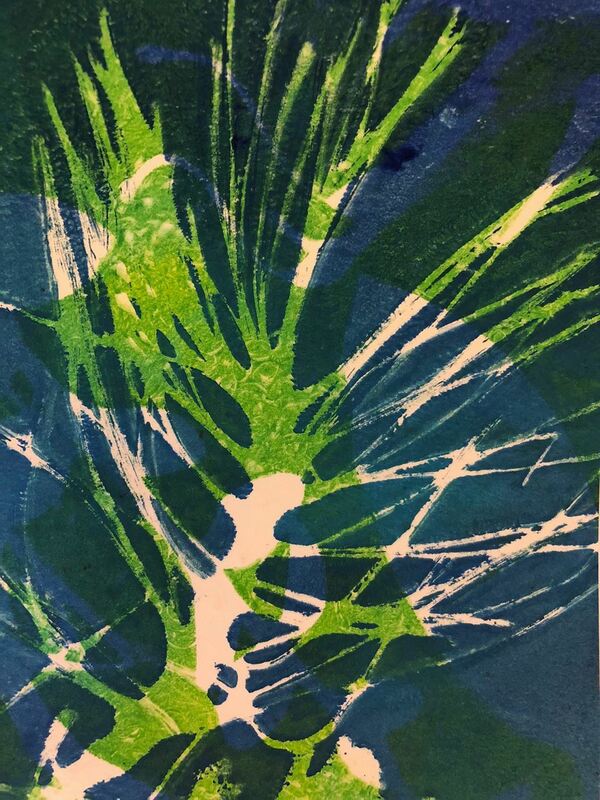 Experimenting is key during the process, often yielding unexpected results and each student will produce many innovative monotypes that may be used as final pieces or as pieces for card making or collage. Before the end of class, there will be a demonstration on creating monotypes on plexiglass plates and using the printing press to transfer the image. A follow-up workshop is planned for those interested in more advanced monotype experiences. Mary Wojciechowski has been working in monotype for five years and is a member of the Monotype Guild of New England. Her monotypes have been accepted into many juried shows including two MGNE national exhibits. 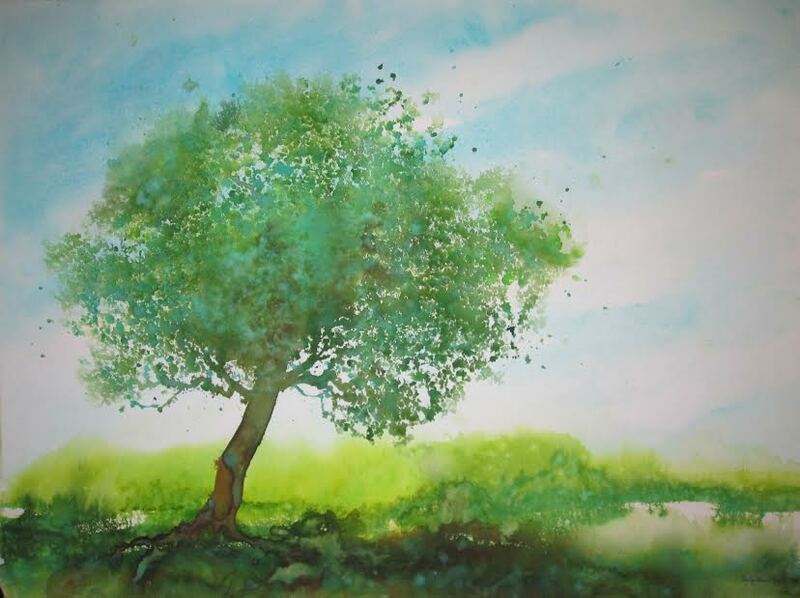 Andrea Warner has been a monotype artist for six years and is a member of the Monotype Guild of New England. Her monotypes have been accepted into many juried exhibits and she has had her work accepted into national exhibits at MGNE and the Rhode Island Watercolor Society. 28 Mar 2018 Sue Klas Wright: A TASTE FOR POSSIBILITIES! 16 Aug 2014 RIWS Fundraiser: Exhibition, BBQ buffet, Live music, Silent auction & Raffle!